The main characteristic of this equipment is it can molding in one time to protect the material from the direct contact with workers’ hands and improve the efficiency. 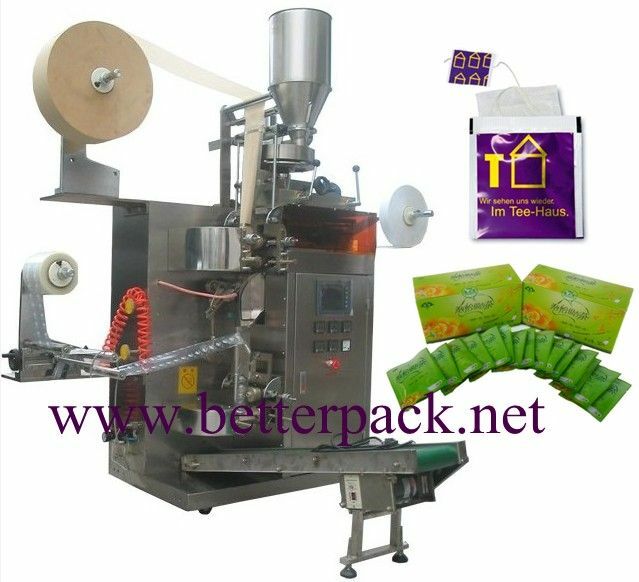 The inner bag is filter paper, tagging with thread and label automatically is available. ---Controlled by a step motor, the outer seal has a fixed length and a correct position. ---The attached device has functions including cutting, date printing and easy tearing.